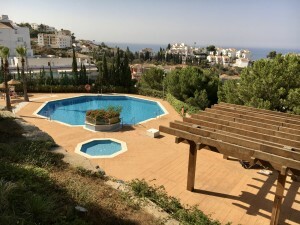 One level villa, situated next to Arroyo de la Miel, the plot is 800m² and the house is 240m² built, 4 large bedrooms with built-in wardrobes, 2 bathroom en suite and a separate guest toilet. With a fully equipped kitchen. 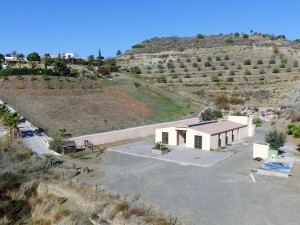 completely reformed only three years ago, the property was built in 1996 but they had reformed somethings but are in really good conditions, out side has a really nice swimming pool and a bar, barbecue, has a garden behind the house, the house has small terrace in the top. The glass windows are blinded, electrical awning, big garage and mountains views. This house is all adapted to disable people.